This Beveled Mens Wedding Ring takes the most popular of the plain wedding bands and adds a little flair to them on the sides. They are both comfortable and subtle with the addition of the knife edges. 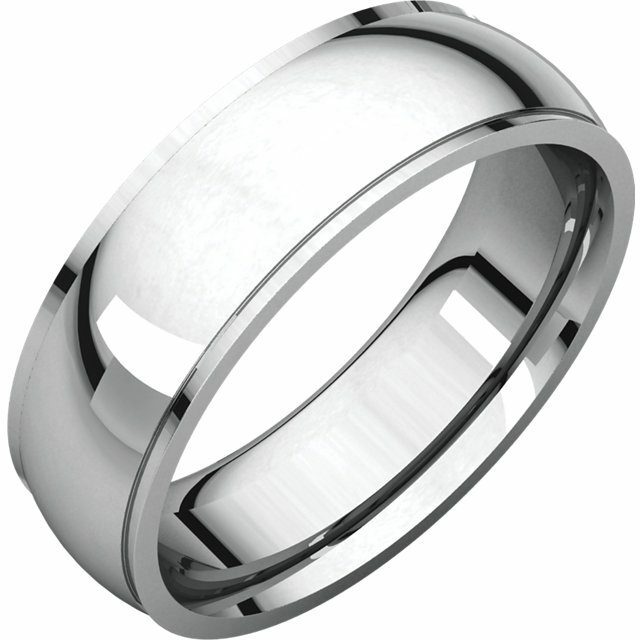 These Beveled Mens Wedding Ring can be made from 3 to 16mm wide and in a variety of other profiles as well. I can also add diamond or gemstones to them, whether gypsy or channel set, if you would like some color or sparkle. It is also possible to add further customization with a variety of finishes that are available. The starting price is for 10K Gold Beveled Mens Wedding Ring at 4mm wide in a size 6. Contact us for other pricing options. Click HERE to see another Beveled Mens Wedding Ring design. Click HERE to learn more about custom jewelry, to contact us, or to view the rest of our portfolio. It can cost less than you think to have your very own custom Beveled Mens Wedding Ring, so why bother with the overpriced and boring chain stores when we can do so much better in every aspect?